Marlene Owens Rankin and Gloria Owens Hemphill discuss their involvement in the production of the movie on their father's legacy, "Race." Trying to decide what famous actor might play you in a movie is always a fun game. Now, the real-life daughters of Olympian Jesse Owens no longer have to wonder. 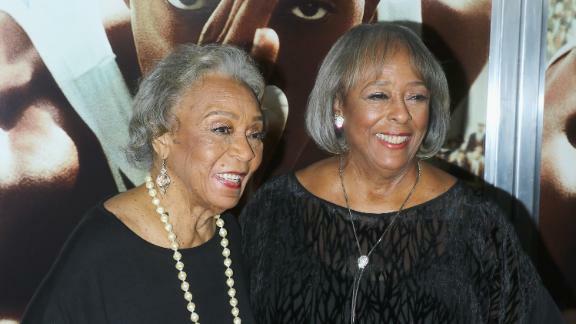 The biopic "Race" hits movie theaters today, and Marlene Owens Rankin and Gloria Owens Hemphill could not be more proud of their famous father. Actor Stephan James plays Jesse Owens, who won four gold medals in track and field at the 1936 Olympics in Berlin. In an interview with The Chicago Tribune, Gloria Owens Hemphill (who was just 4 years old when her father won the gold), said that at home, her father never spoke of his Olympic achievements or displayed his medals. During a press junket for the movie, she and her sister discussed how involved they were with script approval to ensure that history wasn't rewritten. They also expressed their approval of double meaning of the title of the film.